Our custom-built fully automatic block palletiser can stack blocks for the horticulture industry. The blocks are first cut and drilled and then transported to the palletiser by a conveyor belt. A stopper seperates the blocks in rows of 12 pieces for the palletiser. A pusher then pushes each row onto a formation table underneath the gripper mechanism. 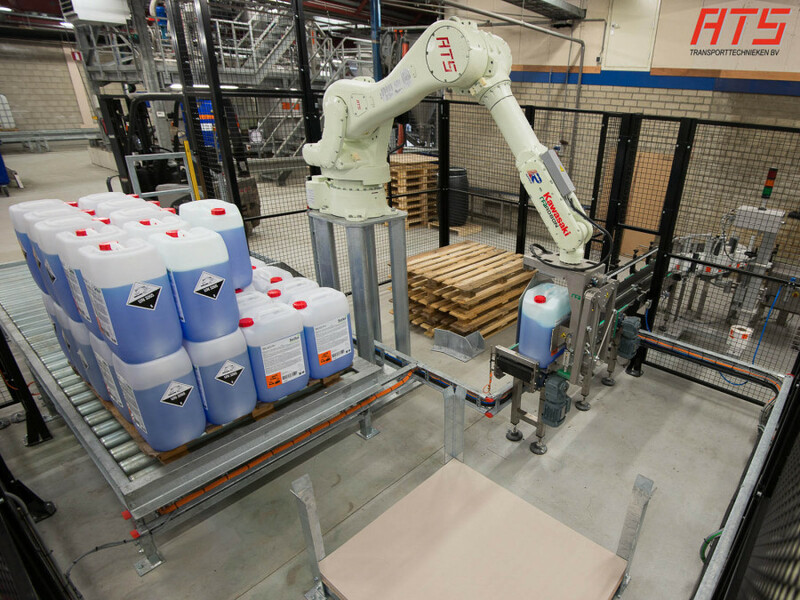 After a full layer is formed on the formation table, the special gripper mechanism lifts the entire layer from the table and places it onto an empty pallet. 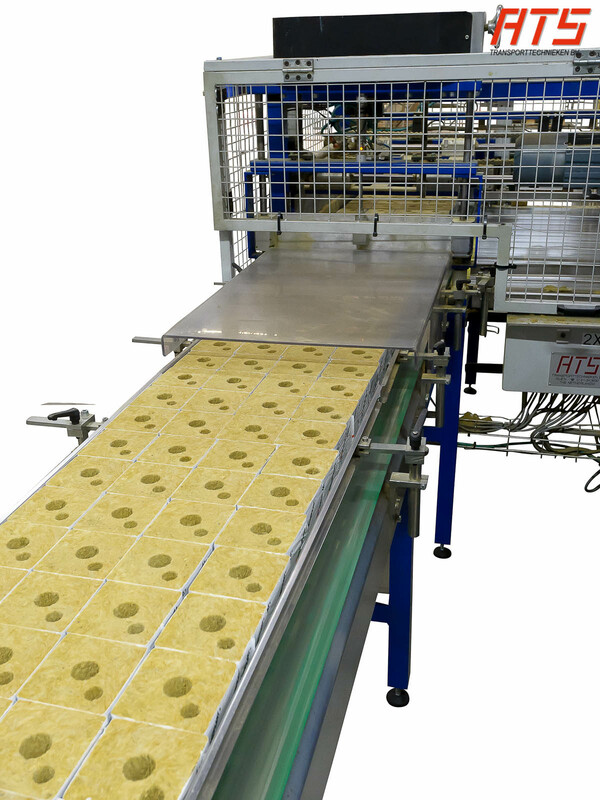 After each layer of blocks a sheet is placed on top of it by the same gripper mechanism and the pallet is ready for the next layer of blocks. 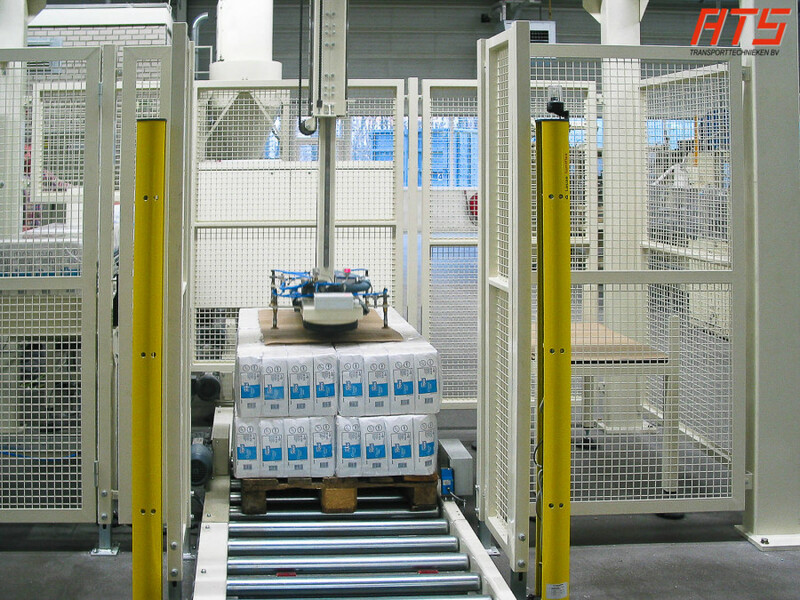 To handle different pallet and product heights, analog sensors are used to detect the actual height of the pallets and blocks. This information is used by the software to move to gripper mechanism to the correct position without human intervention or input. 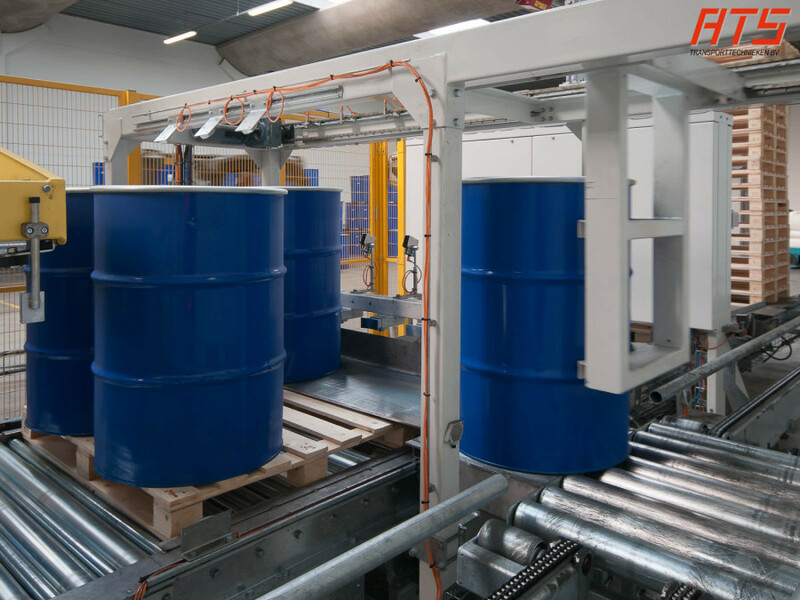 This installation is built with two seperate palletizing positions to guarantee a continuous process, even when a fully loaded pallet is being unloaded and changed for an empty one. A mechanical safety mechanism is used to guarantee the safety of the operator while changing the pallets.